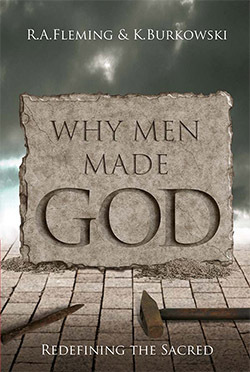 This 'companion' web site contains many photos, maps, diagrams, links to videos and other peripheral material to enhance your reading of Why Men Made God. As you are reading the book, you can visit this site and see images that pertain to the chapter you are currently reading, as well as links to sites that provide additional information. We consider the purpose of this site to be educational. We have endeavoured to find images and information that fit with that purpose. Scholarly articles and books can be found in the bibliography of the book, so we have looked for more colourful, entertaining items - but from reputable sources - for the web site. This website is continually being updated. If you come across other pertinent items that we may have missed, please contact the webmaster to indicate the location of the items and we will consider adding them.